Are you planning a backpacking holiday and wondering how you might be able to save money on your trip? Jordan Smith is from the Gold Coast in Queensland, but has been travelling the world on extended-stay trips for the last few years on and off. We’ve asked him to share his best travel money saving tips for each of the regions he has been to (look out for his Europe, UK and North America tips too!). Today he shares with us his top tips for backpacking through Central America and how he made his budget stretch for his entire trip. How long did you spend travelling in Central America? All up I spent 5 months in Central America. During that time I visited Belize, Guatemala, El Salvador and Honduras. I had to use a mix of US dollars and the local currency while I was there, which included Belizean dollars, the Guatemalan quetzal and the Honduran lempira. How have you made your budget last during such a long trip? While doing long trips overseas I am lucky enough to do some work for my employer back in Australia remotely, which helps the budget a lot. Despite being quite a cheap destination to explore (in comparison to some other places I’ve been to), I was able to learn quite a few things about money during my time in Central America, especially on ways to save and knowing when it’s a good idea to spend money. I went to Flores in Guatemala with the sole purpose of checking out the Tikal (Mayan) ruins. I usually don’t go on organised tours because it works out cheaper to do things myself, but this time I opted for a tour to save the hassle of catching a local bus at 4am to get there in time for sunrise. I later found out that the cheaper option is to go on the sunset tour, but the sunrise option is more popular, which is why it was a bit more expensive – but totally worth it! I found in Central America that always going for the cheapest option was not necessarily the best option. In Antigua I went on an organised hike on the dormant “Acatanengo” volcano where we got to camp the night just below the peak. I found the quality of the guides, tents, and food varied greatly for this, and spending a bit of money here on a better tour option ensured that I not only had a great experience, but that I was safe while doing it. 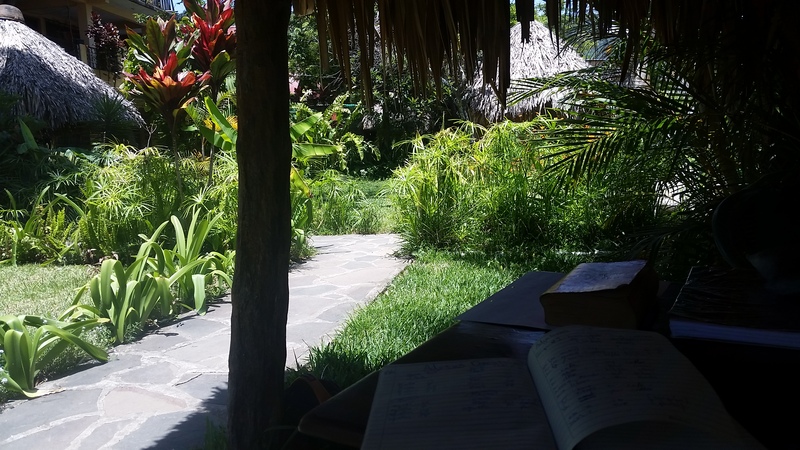 I learnt Spanish while I was in San Pedro La Laguna in Guatemala – for US$70 I got 20 hours of one-on-one lessons, and for a further US$70 I lived and ate with a local family for the week! It was definitely worth the money. I went to El Tunco in El Salvador to surf . Surfboard hire was a little expensive at $10 per day, but the rum, coconuts and the hotels were cheap! I learnt that a lot of people buy a surfboard there instead of hiring one, and then continue their trip down into South America to follow the surf. I discovered in El Tunco that the ATM in town regularly ran out of money, and I would find myself stranded for a few days without any cash. 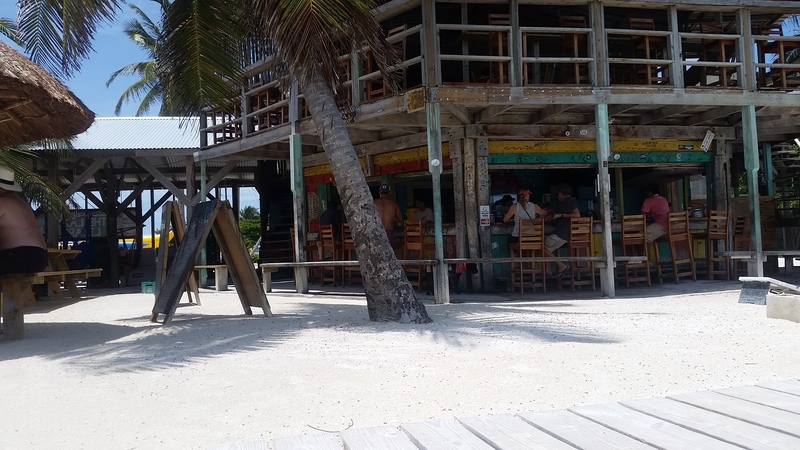 I went to Utila in Honduras with the intention of staying for two weeks to do courses in Rescue and Free-diving, as it is one of the cheapest (and best) places in the world to learn scuba diving. I ended up doing my Dive Master training there too, which turned my two week stay into four months! This cost me a fair bit (US$900), but I could take as long as I wanted to complete the course and my accommodation for the entire time was free. Any additional speciality courses were at cost price too, so I got some massive savings. I loved the lifestyle there, so I definitely took adantage of the situation and stayed for as long as I could. So what are your top 10 money saving tips for travelling through Central America? 1. Travel on local 'chicken' buses – they may seem a little sketchy but with some basic Spanish you can get by, plus they are a fraction of the coast of a fancy coach. 2. Eat where the locals eat. In many places, especially the bigger cities that are more westernised, the restaurants are aimed at foreigners and can be quite expensive. 3. Learn some basic Spanish. If you don’t have lessons there are lots of apps that can teach you. Being able to haggle for prices in the local language is always helpful. 4. Avoid planes! The cost of local flights is ludicrous and most countries in Central America can be crossed easily overland. 5. If you have the facilities cook your own food and buy fresh ingredients at the markets for just a few cents! 6. Spend more time in the 'cheaper' countries. Countries such as Costa Rica and Panama are more developed and have direct flights to and from the USA, so they are marketed heavily overseas and are always more expensive. 7. There are loads of volunteer/work exchange opportunities available in Central America, and most offer at least free accommodation in return. 8. To avoid doubling-back on your trip and wasting money on buses, talk to other travellers on the road about your next destination as there is very little information online regarding transportation. 9. Try to not exchange money at borders (air, land or sea!) as there is always people trying to make a buck off someone’s poor planning! 10. Central America is a very cheap, safe and easy region to travel. It’s very hard to go wrong budget wise, providing you do a bit a planning and don’t rush into things. What is the most extreme thing you did to save money while in Central America? I didn’t wear shoes for three months as my thongs would constantly get stolen and I refused to keep paying for more! If you need any help sorting out some foreign currency for your Central America adventure, just give us a shout and visit us in store today! Jordan got hooked on travelling after a family holiday to Fiji in 2007. He has quit his job at home in Australia on three separate occasions to travel the world for months on end and has just recently returned home after an extended trip through Europe, the UK, Palestine and Israel!